Join NNIRR and so many others this week to urge support for refugees, in advance of World Refugee Day on June 20. As an organization founded among immigrant and refugee communities more than 30 years ago, NNIRR has consistently reaffirmed the inclusion and importance of including "refugees" in our name, and in our national and international advocacy. Although governments wil often draw a sharp dividing line between migrants and refugees, we know that people who are forced to migrate often come from the same experience, travel the same road and face similar, if not the very same circumstances along their travels and at their destinations. Both refugees and migrants deserve safety, respect and human rights. "I am calling to urge Congress to welcome more refugees to the U.S. and to provide adequate funding levels to assist refugees worldwide." Feel free to add your personal message! Many people who are not successful in gaining refugee status or asylum become part of the undocumented community. Asylum seekers are increasingly thrown into detention in the U.S. and in other countries, in defiance of international refugee obligations. And at a time of unprecedented levels of refugees worldwide, President Trump has said he will slash refugee admissions this year to less than half of the 110,000 target previously announced by the Obama Administration (which had been an increase of 35,000 from FY 2016). And of course, Trump is certainly trying to do all that he can to keep refugees and other migrants out of the country. We must be unrelenting in our support for and solidarity with ALL migrants and refugees! 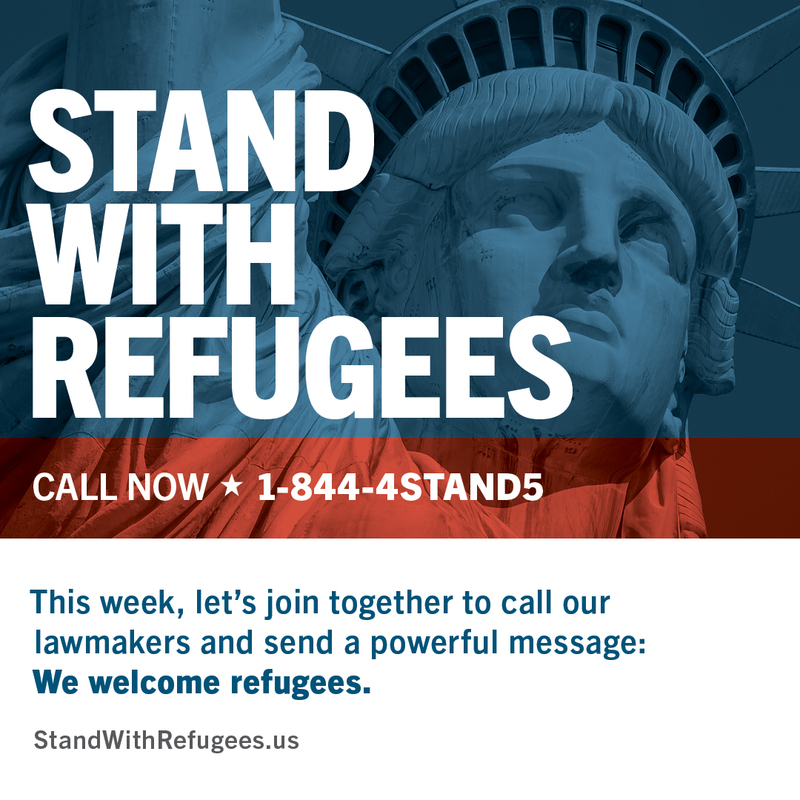 Please take a moment to #StandWithRefugees and urge legislators to uphold a strong U.S. commitment to refugees at this critical time worldwide. And...can you become a sustainer? Your continued support during these critical days, weeks and months is important and very much appreciated.